Pete Schall mentioned in vocal jam. 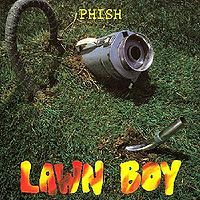 Timber was played for the first time since November 28, 1990 (257 shows).The Esther intro contained a Simpsons signal, Bowie contained an Oom Pa Pa signal, and Possum contained a Random Note signal. 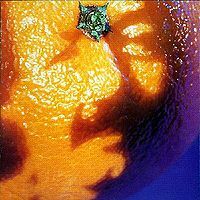 Fluffhead contained an Eine kleine Nachtmusik tease from Trey. I Didn't Know featured Fish on trombone.YEM included an Auld Lang Syne jam and Pete Schall was mentioned in the vocal jam. TMWSIY was preceded by a humorous full-band dedication to cousins and was teased by Trey in Possum. Page teased Blue Monk during ‘A’ Train, which was dedicated to Trey’s uncle. Sweet Adeline was performed without microphones. Between sets, Jamie Janover performed solo on hammer dulcimer. Wow, this is a fantastic example of Phish at their prime in the "late early" phase. Just imagine a 3.0 setlist that included SOAM, Fluffhead, Reba, David Bowie, Bathtub Gin, YEM, and Possum, all in one show, plus crowd pleasers like the Landlady, Esther, CDT, Timber, Axilla, and Llama, and covers including I Walk the Line, Take the 'A' Train, and Ride Captain Ride. Like I said, Wow! The playing by the band here is typical of this period, precise, crisp and intense. "Machine Gun" Trey is clearly on firm footing throughout, listen to his adept playing including interesting work in SOAM, CDT, and Timber. In fact the whole band is spot on throughout. Page didn't bring the baby grand on tour until the following year, so you have to initially "get used to" the electric keyboard sound, but once you do, you realize just how talented he really is. 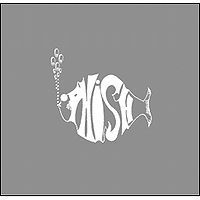 No Phish show would be complete without some humor, and this show features multiple lighter moments, including banter with the audience and amongst the band, and of course the BBJ > Fishman show towards the end. It's probably no surprise that the band played so many great songs on this night, it was after all part of the 1992 New Year's run, and these guys often load up on the big songs for New Years (just look at 12/31/10 for example). 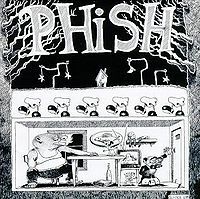 If you are like me and spend most of your time listening to '93 - '95 and '97 - '99 Phish, do yourself a favor and listen to this show for a little something different. The MP3 spreadsheet link is a SBD version, so the sound quality is good. 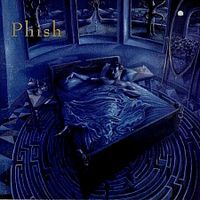 It's great to hear and remember just how good a band Phish was before 1993. This was a great venue. Symphony Hall is a place set up for an actual symphony, built in the early 1900's, and when we walked in we laughed and said, "Whoa, can't believe they're letting us in here." About 2,600 people, comfortable seats, deep red accents, chandeliers, carved wood moldings, the whole deal. The room is a long rectangle, stage at the short end. We had seats upstairs, stage left, in Loge 8. These were fantastic seats looking across and down on the band, perfect for watching them work and play. There were heavy red velvet curtains behind these seats, which made the loge section like a small room of their own, as well as quieting the walking and distractions from people coming to and from their seats. I left my seat during the second set, I believe during Avenu Malkenu, and when I passed through the red curtains to the hallway I saw two young women (probably high school, perhaps early college) sitting together on the floor holding hands, and weeping. Not crying really, just sort of sitting, and slowly, quietly, bleeding tears. When I came back they were still there, one head leaning on the others shoulder, just listening, feeling, experiencing. Other people were gently spinning, dancing in slow motion, waves of quiet calm expression, where you couldn't see the stage, with the sound attenuated by the curtains, everyone just being. It was very poignant, one of the most memorable concert vignettes I've seen. 5 out of 5 'cause this was my heyday in phish world & this was great night for me & my friends. Timber Ho was not planned but requested by my friend who was on crutches. We were down in the front & he was shouting it between just about every song. If you listen closely, Fish started playing the drum intro to Bowie right after I Didn't Know but Trey & Mike (mostly) honored my friend's request. I saw the whole NYE run & following winter '93 run for the first 4 shows. Whew! What a ride. On to Springfield, MA for the third installment of the New Year's run. The recording was good, except some cut outs during Fluff's Travels and a few other weird places that were very brief distractions. Landlady gets the call for the opener tonight and is pretty well played. It was a little tentative sounding while getting settled in. Sparkle continued the process with EQ-ing noises from Paul or Pete on the monitors. It was still well played. A nice rocking Melt followed that, and was about average for this year. Esther had its usual foolishness getting in and had more EQ-ing going on getting Page's sound happening. Chalk Dust was good pure rock, but nothing too special. Fluff was a little tentative as well and had the drop outs in the recording, maybe a little shaky in the Travels. Paul was a little rough to start with, but quickly recovered into the standard bluegrass jam. A much better Reba was played tonight until the very end when Fish missed the cut off, and then played his part over again leading to laughter. Then Trey picks up the megaphone and says "Thank you." Walk the Line follows that, most likely as a joke, and then back to the coda of Reba. Mike embellishes the vocals for humorous effect. IDK followed that with the "Tubbs" trombone solo that must have been played at the drum kit or something because it was very quiet compared to the rest of the mix. The Bowie intro was phased out by Trey busting out Timber! It didn't sound planed at all as everyone seemed to need a minute to remember how their part should go. Not bad after two years without one. Bowie finishes things up for first set, but didn't sound quite locked in at the end. 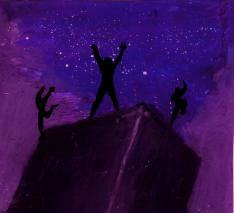 Trey was trying to get everyone to really get in on the ending high point, but it just didn't seem to work that well. Decent first set overall. Nice solid Axilla to start off second set. Well played and rocking. Rift was a little shaky at times during the solo sections. Gin was played pretty fast tonight with a good jam in there, but a strange ending as again they were not locking in or communicating very well. YEM was good overall with teases and the shout outs to Pete and the church choir type ending to the vocal jam. Funny stuff here as the stage banter kicks in with Page announcing his family in the crowd like Trey did at New Haven. The following discussion of cousins is great. TMWSIY was ok until a few rough spots toward the end from Trey. Avenu was also a little weak in the middle during Mike's solo. TMWSIY outro was fine. Possum had lots of teases and foolishness as usual. Trey even teased TMWSIY, followed by the Big Ball Jam which seems to be turning into a stand alone "song" instead of being attached to a bluegrass song. HYHU brings Fish back out again, who then teases Mike for drinking soy milk. Paul gets the only intro tonight as Love You swings along quite well tonight. A drawn out HYHU ending by Trey leads us to more stage banter about their uncles. A nice A-Train follows for Page's uncle. A rocking Llama moves to the closer spot tonight. This one is good, but a little sloppy during the solo transition. This would be the last Ride Captain Ride for almost six years, or about five hundred shows. Well played parts and confident sounding vocals from Page make it pretty good. The crowd shushing follows for a Sweet Adeline to send everyone home happy. Pretty good show overall. Some rough spots here and there and definitely not quite the five star caliber of the Canadian shows earlier this month. Maybe they were saving it for tomorrow night's festivities?